How Much Should You Limit Your Kids' Electronics? 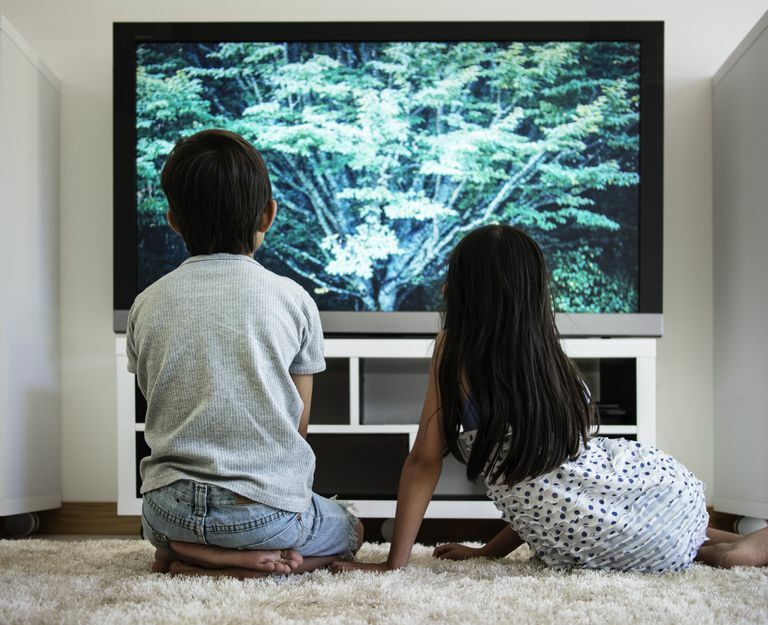 For years, the American Academy of Pediatrics has recommended no more than two hours of screen time for children and teenagers, and absolutely no screen time for children under 2. However, they’ve now updated their guidelines to reflect the realities of today’s digital world. The AAP's new recommendations acknowledge that technology is integrated into our daily lives, making it nearly impossible to police a strict two-hour per day limit on school-age children. Additionally, technology can be a valuable component to learning. Children access computers and tablets at school and use computers to do their homework. But, some kids are growing dependent on their devices. They're using video games and TV as their main form of entertainment and they're replacing face-to-face communication with text messages and social media. The new guidelines from the AAP focus on setting healthy guidelines that will prevent kids from using their devices in an unhealthy manner. Past guidelines offered clear recommendations about the amount of time children should be allowed to access screens. The newest guidelines offer a more flexible approach. Media has both pros and cons. Just like everything else, technology has pros and cons. Kids can learn a lot from educational content, but they can also be exposed to inappropriate images, unhealthy advertisements, and violent content. Take steps to make your child’s media use a positive experience. Healthy role modeling is essential. Your child will likely mimic your media use so it’s essential to be a good role model. Read books, engage in physical activity, and spend time outdoors. Set healthy limits on your own electronics use. Kids need rules about technology. Establish rules about the sites your child visits, the games he plays, and the movies he watches. Don't allow your child to gain access to social media until he's mature enough to handle the responsibility. Engage with your child’s technology. Get involved in your child’s digital world. Learn how to play the games your child enjoys and explore the Internet together. Look for positive activities you can do together with electronics. Set aside time without technology. Turn off your electronics during certain times of the day or on specific days of the week. It’s important for kids to have time to engage in activities that don’t involve their digital devices. Even a short digital detox could improve your child's behavior and emotional well-being. Establish reasonable limits on screen time. Most kids can’t handle unlimited access to their electronics. To keep your child physically and mentally healthy, set limits on screen time. Don’t let your child sit in front of the TV all day every Saturday and don’t allow him to stay up all night playing video games. Turn media mistakes into teachable moments. Monitor your child’s activity and be prepared for your child to make mistakes sometimes. Whether he logs onto an inappropriate website, or he goes over the data limit on his smartphone, turn those mistakes into teachable moments so your child can do better next time. It’s OK for teens to be online. Social media is a major part of most teen’s lives. Let your teenager spend time online communicating with other people. It’s likely that online communication will play an even bigger role in your teen’s future career. According to the new guidelines, you don't necessarily need to set strict limits on the time your children are using their digital devices. But, you should examine the big picture and the role electronics are playing in everyone's lives. Consider the habits your family has fallen into. Do you watch TV while you eat dinner? Do you stare at your phones when you're in a restaurant or at a sporting event? Examine your children's media habits too. Do they watch TV before they go to bed? Are they using their devices whenever you're in the car? You may want to establish some new rules for the whole family, such as "No electronics while we're eating dinner," or "No electronics on Saturdays." Those types of rules can help ensure everyone is establishing a healthier relationship with their electronic devices.